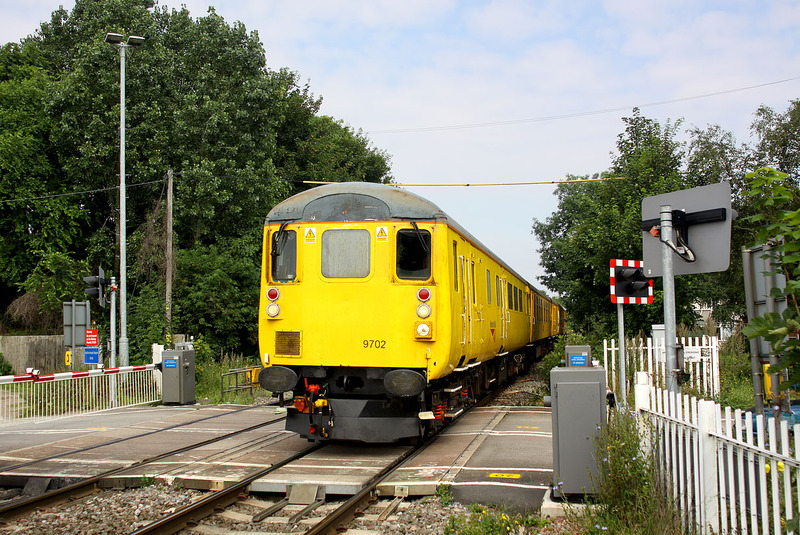 Network Rail DBSO 9702 leads the 3Z80 08:52 Derby RTC to Eastleigh test train over Appleford level crossing on 9 August 2012, with 31285 doing the pushing on the rear. This location used to have a lot less trees, and a signal box controlling the crossing. The view in 1985 was much more photogenic.